A longer length reversible hat that sports bold lateral stripes and a roll-up brim. Wear it stripes out, or flip it inside out for a solid hat with a striped band. 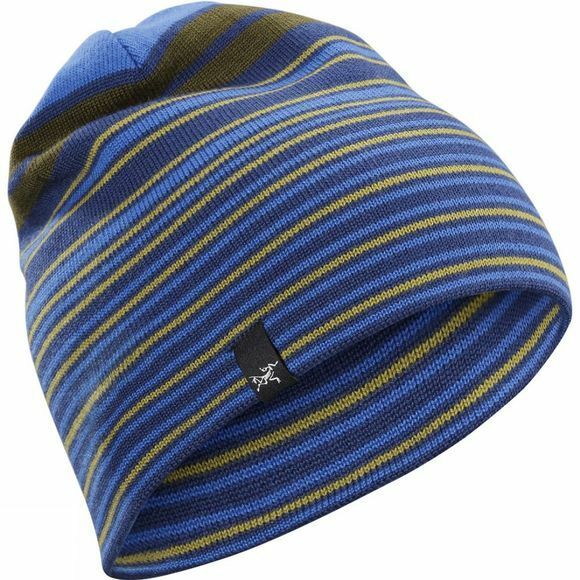 The blended material of the Arc'teryx Men's Rolling Stripe Toque combines warmth, comfort and durability. Its relaxed slouch style offers a variety of wear options.